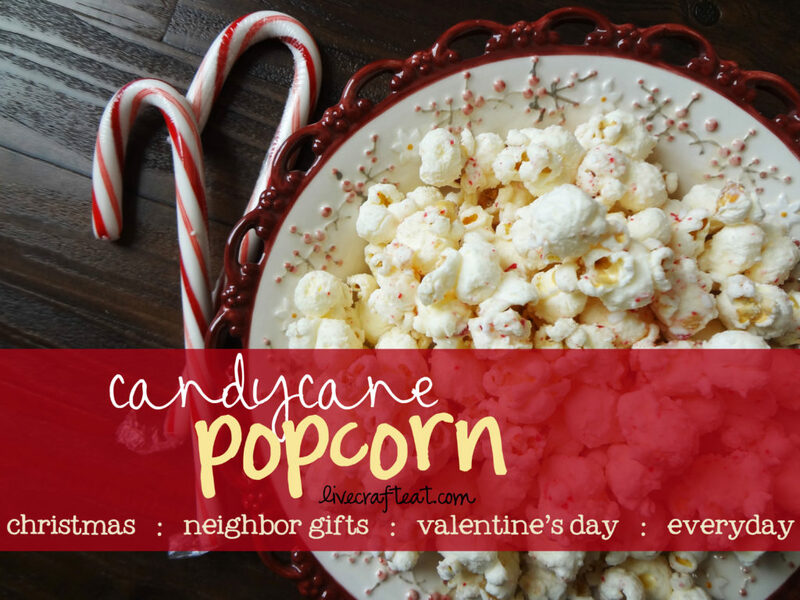 candy canes, white chocolate, and popcorn? that’s it?! i knew i had to make some. here’s my setup. 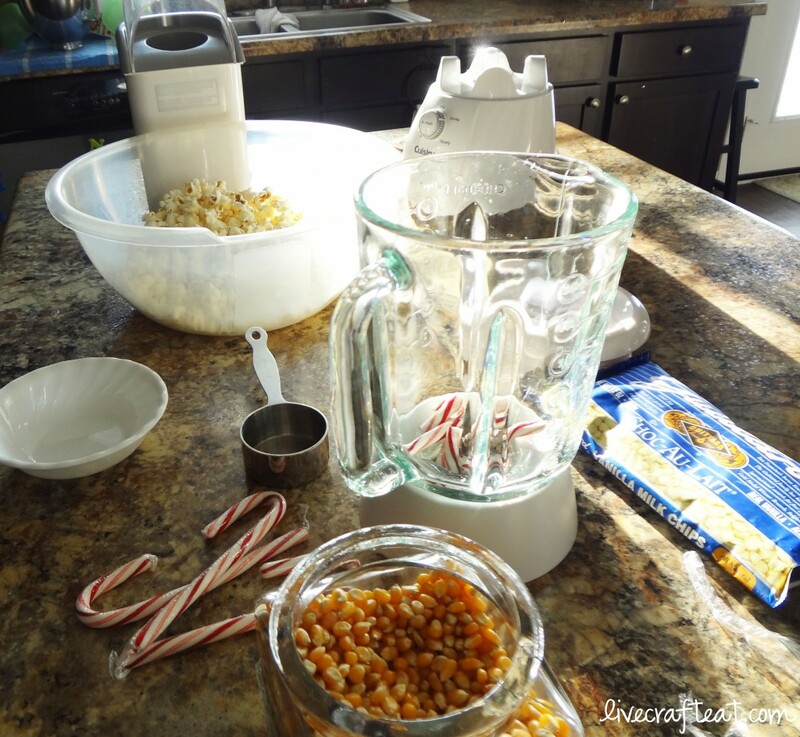 there really aren’t exact measurements, so the more popcorn you make, the more chocolate and candy canes you’ll want, but don’t feel like you have to make a huge batch at first. try it out, get a combination that you really like and then when you find your perfect chocolate and candy cane ratio, double, triple, or quadruple it! 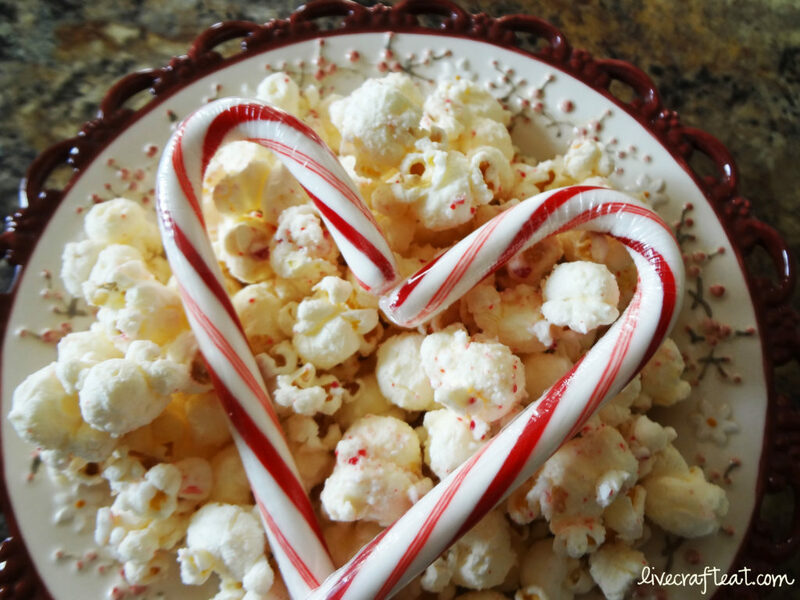 i used about 15 cups of popped popcorn, 1 bag of vanilla chocolate chips, and 6 candy canes. 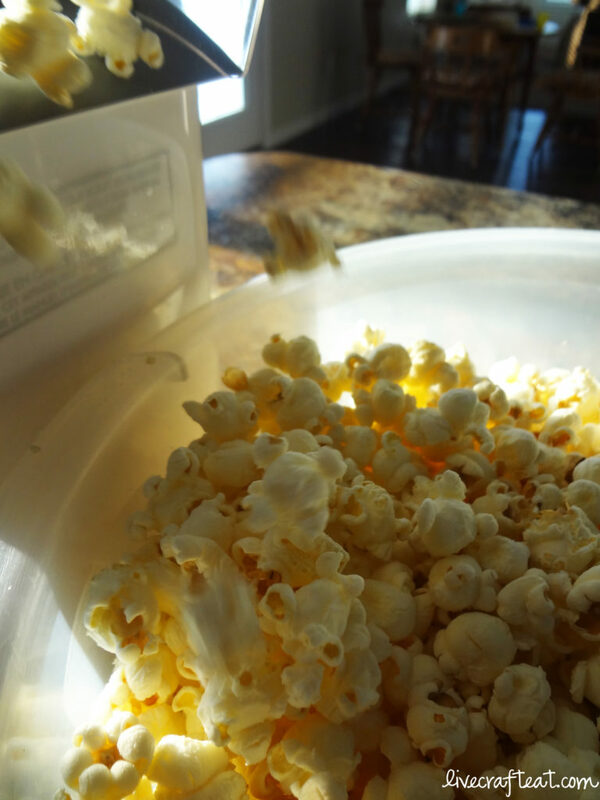 the first thing you do is pop a bunch of popcorn into a big bowl. pour your chocolate chips into a microwaveable bowl. heat in increments of 30 seconds until it starts to melt when you stir it. i ended up only needing to microwave it for 1.5 minutes. 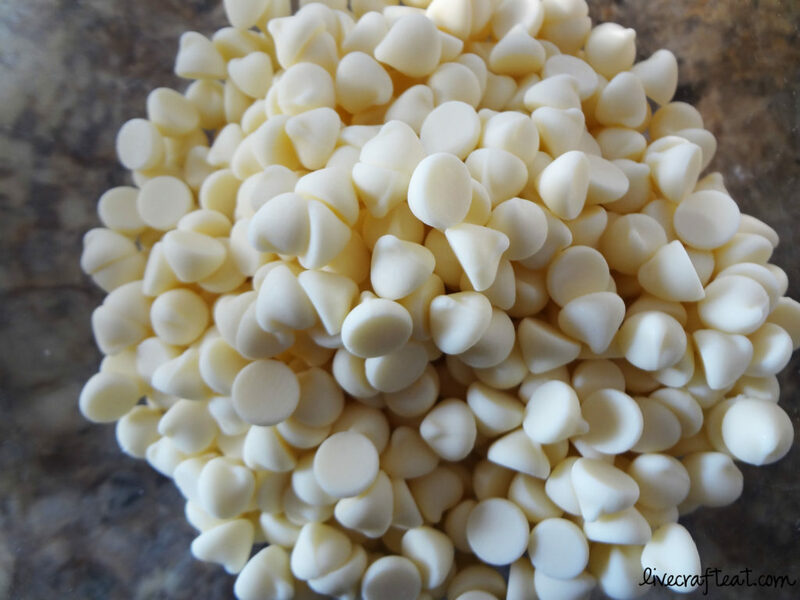 you’ll probably have whole pieces of chocolate chips still in the bowl, but as you stir it all together the rest should all melt. now’s the fun part! 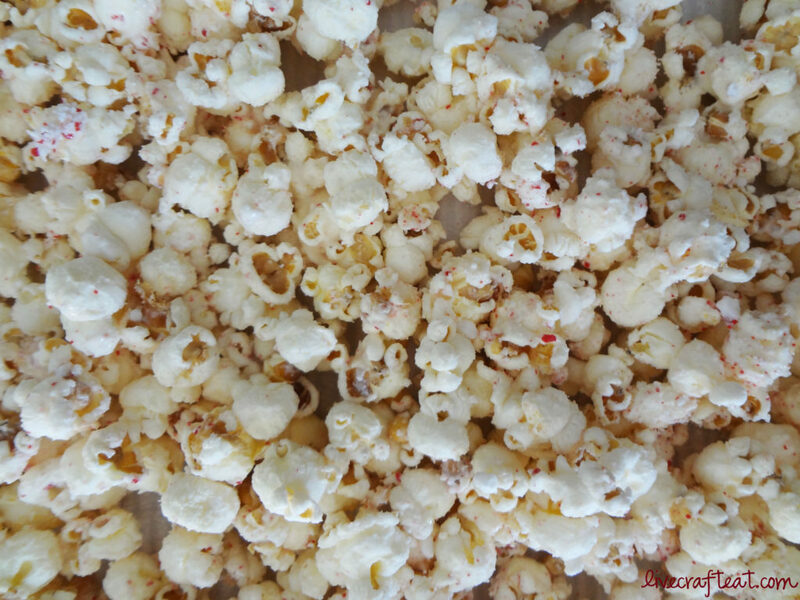 drizzle 1/2 of the white chocolate over the popcorn and stir to coat. add 1/2 the candy cane bits and stir it again. add the rest of the chocolate and stir. 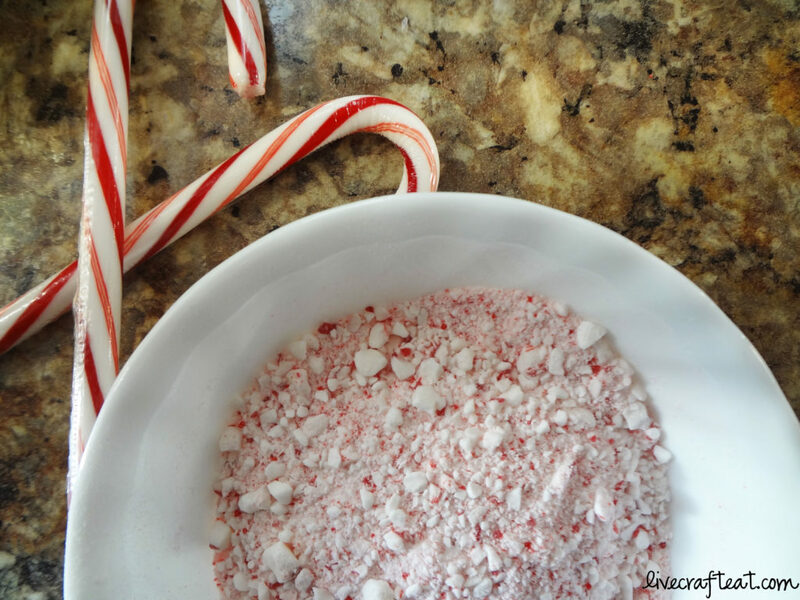 add the rest of the candy cane bits and stir. 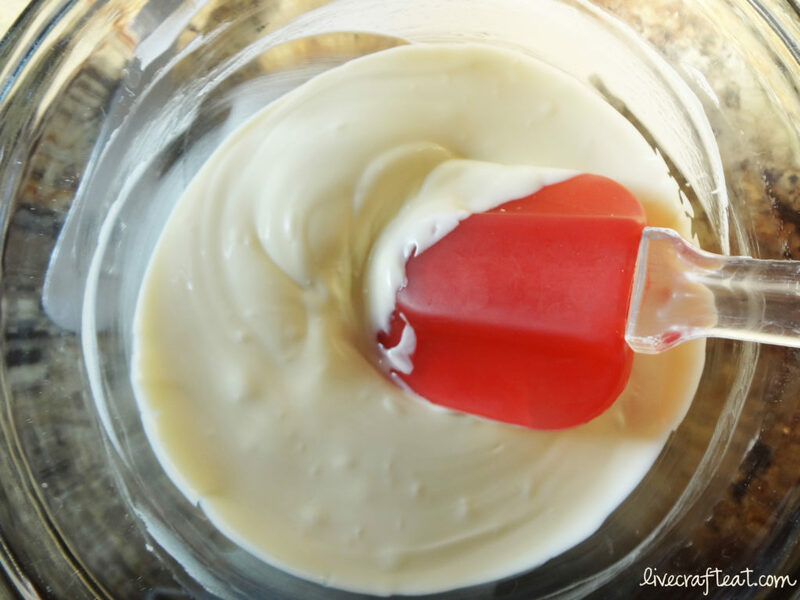 when it’s all mixed in really well (you might have to use your hands to get it all mixed in well enough), pour out the popcorn onto sheets of waxed paper on your counter top. 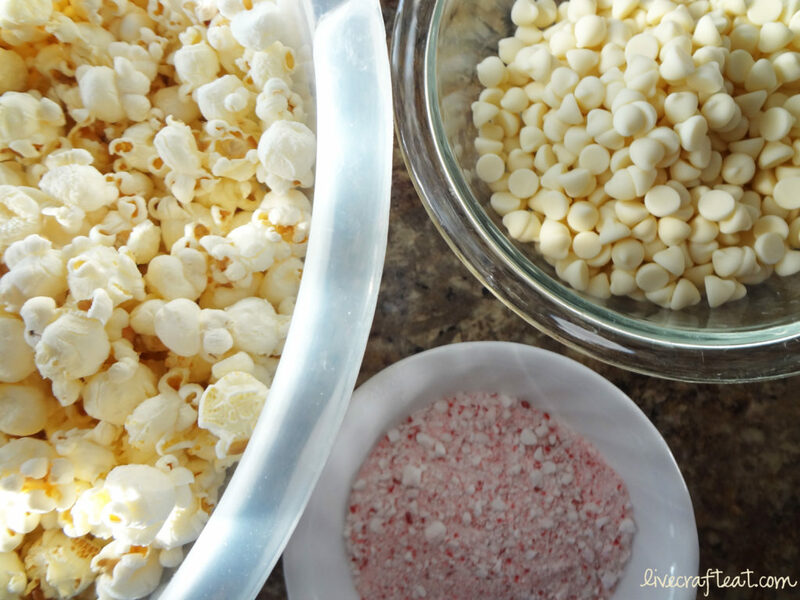 spread them out in a single layer and leave for about 15 -20 minutes so the chocolate has a chance to set (and so all the popcorn doesn’t stick together). see those cute little red pieces on the popcorn? yum. 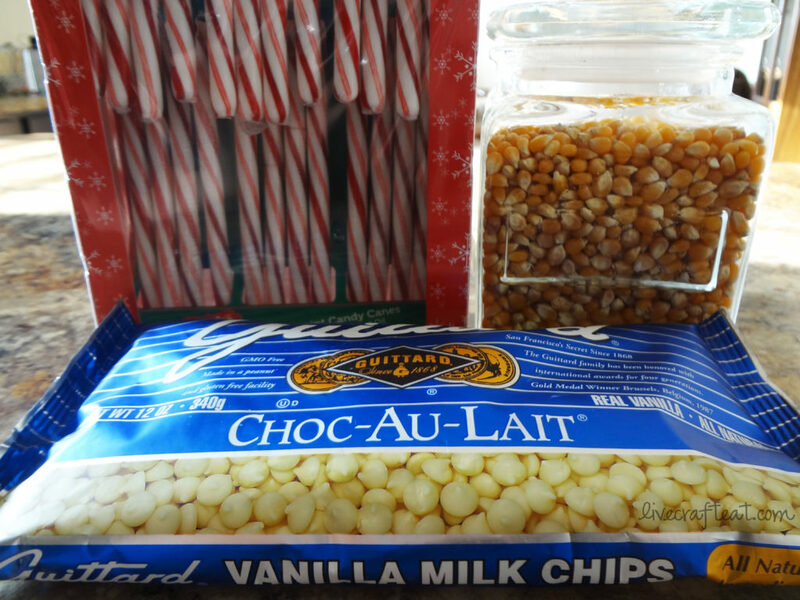 but you won’t see the white chocolate because, well, it’s the same color as the popcorn. but it’s there! i promise. it’s what’s helping to keep all the candy cane awesomeness on there. what to do with it when you’re done? well, you could eat it! (and i’m sure you will.) and if there happens to be any left after that, you could put it away in plastic containers for another day. or you could package it up in some cellophane bags tied with red ribbon and a cute little tag for your neighbors. so next christmas when you see all those candy canes waiting for someone to buy them and take them home, you’ll now have a new and delicious reason to buy a whole bunch! 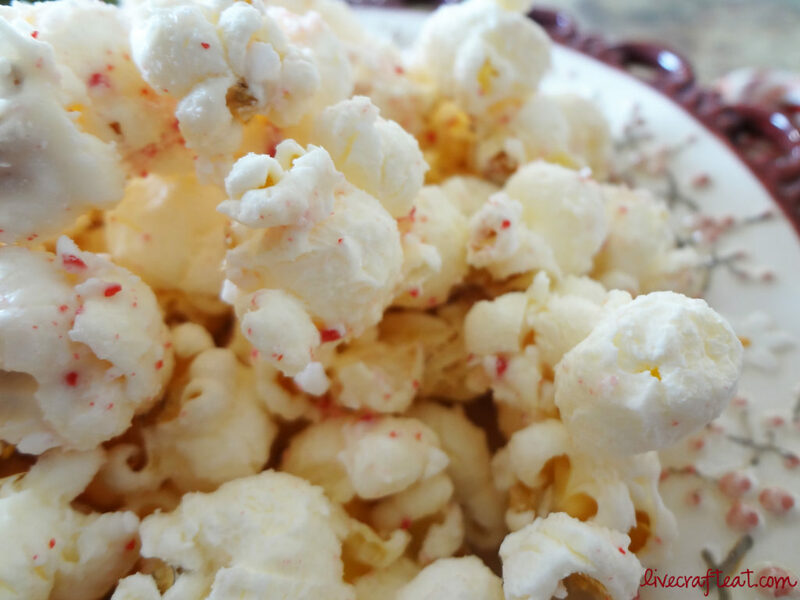 white chocolate m&m popcorn :: friday night movie snack! This popcorn looks amazing! I can’t wait to try it. love this! can not wait to try it. and that photo with the candy cane heart at the end is too cute. This looks so easy and fast …. We have for the Holidays …. it is all of that, cindy! hope you like it as much as we do!